highest standards of building workmanship at the best value for money. Aubrey Homes is proud to have established a reputation for building projects of exceptional quality and value and to have a long list of satisfied customers who are delighted to recommend our services. Our extensive experience in house building services and home improvement mean we will ensure your project runs seamlessly from grand design to your dream home. 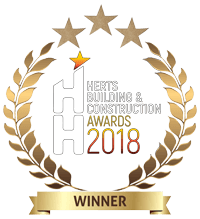 Using only the best materials and contemporary building methods, we take away the uncertainty and worry that can come with a building project and ensure you get the highest standards of workmanship and the best value for money. Whether you want to extend your home, create a fabulous new open plan kitchen, transform your existing living space or have an ambitious new build in mind, we will carefully manage every aspect of your project. 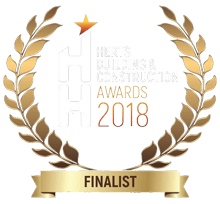 We will oversee the design process, handle planning applications if required and manage the entire building process from the first brick to the final finishing touches. We understand building and we know the importance of paying attention to every detail when you are investing not simply in a house, but in your family home. Trust and reliability are paramount for our family firm and we will never accept anything less than we would want for our own home. We are just as excited to see the end results as our clients! Should you require planning permission or building regulation drawings, Aubrey Homes can instruct one of our trusted architects, who will take your instructions, complete and submit all paperwork on your behalf. We will return with our specialist trades (plumbers, electricians, groundworkers…) to ensure all your requirements are fully understood and met. This is part of our commitment to your project and helps us keep the build within budget. This is where we differ from most builders. At Aubrey Homes, we put together a comprehensive and transparent breakdown of your costs together with a realistic time frame. This detailed process will take two to three weeks. We do not email our quotes to clients. We prefer to meet you face to face so we can fully explain how we have achieved our figures and answer any questions you may have. and the answers you need to know. Ensure your quotation is detailed, upfront and honest in terms of overall cost. Some building service providers will quote an unrealistically low price to win the work and add additional costs during the project. The quotation should have a full cost breakdown detailing items such as labour costs and materials and should cover all the details of the project you require. You need to know precisely how long the project will take to completion so you can plan for the disruption and manage a sometimes dusty environment. Perhaps you will even have to organise accommodation elsewhere. You need to be able to plan your life around the building work and that can only happen if you are kept well informed and feel comfortable raising questions with your chosen contractor. 3. Can they do it? This is the most critical aspect of your decision-making. Can the company who have quoted actually complete the project to the standard you require? Ask for examples and case studies of similar projects where they have successfully solved problems for their clients. Do they have the project management skills and experience to oversee the technical experts; the surveyors, architects, electricians, plasterers, decorators, kitchen fitters, roofers and plumbers? Get vital clues about quality and value for money by researching the testimonials and reviews received by the contractor. Are these clearly visible on the website? Do they look genuine? Are they written by real clients?